Here are some of the albums we can’t get enough of right now! 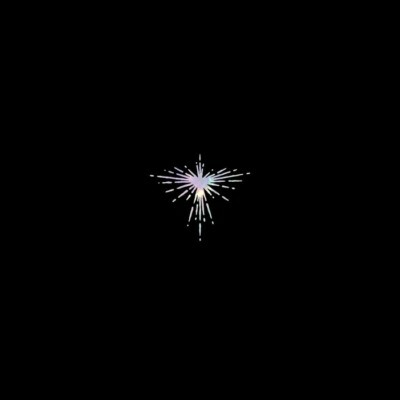 Karen O and Danger Mouse (real name Brian Burton) have known each other since 2005, but as they explained to The New York Times, it wasn’t until 2016 that they finally got the wheels turning on a collaboration. “She has a voice I believe,” Burton said of the Yeah Yeah Yeahs frontwoman. “My whole thing was making sure that one of the coolest chicks in the world likes what we’re doing.” The result is Lux Prima, a lush, experimental album that highlights both of their strengths. The album opens with the title track, “Lux Prima,” a nine-minute epic of gorgeous instrumentalism. The groovy “Turn the Light” was inspired by the duo’s mutual love of Mary J. Blige and ’90s R&B, though there’s also a definite ’70s disco feel to it. “Woman” is a raucous feminist anthem on which O proudly declares, “I’m a woman, I’m a woman, yeah-eh-eh,” while later standout “Reveries” showcases her more vulnerable side (and features more dreamy production from Burton). Lux Prima is the collaboration we didn’t know we needed, but one that leaves us wanting more. 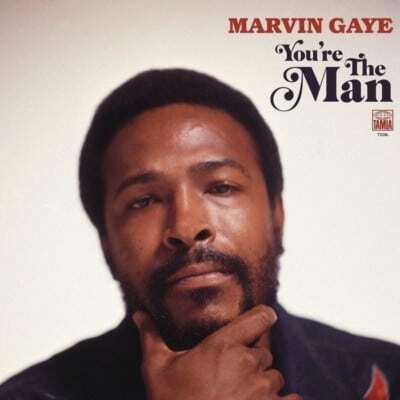 You’re the Man was originally intended as the follow-up to Marvin Gaye’s 1971 classic What’s Going On, but Gaye shelved it following the release of the title track (a bleak commentary on the 1972 U.S. presidential election), later saying that his political views ran against those of then-Motown CEO Berry Gordy, who had refused to promote the song. Now, in what would’ve been Gaye’s eightieth year, the album is finally seeing the light of day, and its message is just as poignant today as it was in the early 1970s. The seventeen-track project include songs from the intended original album along with other work recorded by Gaye around that time and mixes by producer Salaam Remi. The title track kicks off the album with lyrics that could easily be referencing the current political landscape: “Can you take the guns from our sons? / Right all the wrong this administration’s done?” The intro of gospel organ and wailing electric guitar on “Piece of Clay” (written by Gloria Jones and Pamela Sawyer) is goosebump-inducing and “Try It, You’ll Like It” is a delightfully funky number that calls for spreading more love. You’re the Man is a reminder of the musical genius that was Marvin Gaye, a man taken from this world far too soon. Nilüfer Yanya’s debut album is many years in the making. The twenty-three-year-old British singer, who is of Turkish-Irish-Bajan heritage, began writing songs in her head at the age of six, playing guitar at twelve, and uploading demos on SoundCloud at eighteen. “I knew I wanted to sing, but the idea of actually having to do it was really horrifying,” she says. While still shy, Yanya’s music feels very personal and reflective of what it’s like to live in the twenty-first century, addressing topics like mental health, identity, and our dependence on technology. Miss Universe consists of twelve songs and five interludes, which act as automated hotline messages from a fictional medical company called WWAY Health (“We are here for you; we care for you; we worry about you so you don’t have to,” an ominous-sounding Yanya greets listeners on the opener “WWAY Health”). “In Your Head” is the punchiest song on the album; it’s a fuzzy guitar stomper that finds Yanya questioning who’s really in control of her decisions. Elsewhere, she incorporates elements of jazz on “Paradise” and “Melt,” pulls inspiration from Kelis on “Heat Rises,” and goes into pop-star mode on “Tears,” making for an intriguing listen.